Santu has a huge range of features and functions. It gives you the ease of use you need when you start out and all the eCommerce power and flexibility you require when you are successful. Below is a list of the major functions. You will discover many more, when you sign up for a free account. With Santu you have it all covered. You may start out with simple products, but as you grow you may find you need more. Santu supports tangible products and digital goods such as music, eBooks and software. It allows you to sell services and collect subscription fees, to set up donations and fundraisers as well as to create general admission tickets for special events. Review and manage your orders online securely and with ease. Access your orders from anywhere in the world at any time and print out invoices, packing lists and address labels. Accept payments from your customers, review their orders and take required actions. Stay on top of shipping your goods, looking after customers and tracking your re-sellers. Manage products, payments, orders, shipping, tax, discounts, vouchers, members, re-sellers and affiliates quickly and easily. Print invoices and address labels, keep in touch with customers and more. Easily generate product variations such as T-Shirts with multiple sizes, colors and prints. Santu makes it easy for your customers to pick the combination they want. Easily accept payments in real-time via PayPal and more than 60 other payment service providers. Or accept manual payment methods such as pick-up and pay, pay on delivery, send a check and call for payment details to get every order. If you sell digital goods or event tickets we will deliver automatically, as soon as payment has been approved. Express checkout makes buying super-easy and super-fast for your customers, and allows them to track the progress of their orders. Whether they check out on their desktop PC, a tablet or a mobile phone — we have you covered. With Santu you can sell from any social media service available – whether that’s Facebook, Pinterest, Twitter or any of the hundreds of other networks. Even better – Santu allows your customers to share your products across hundreds of social media networks to help you boost your sales higher than you ever thought possible. Manage your stock levels, use a traffic light system on your website to show stock levels to your customers. Define if your products are new, used or reconditioned. Limit orders based on stock levels or allow buying out of stock items. Minimize fraud by being alerted to potentially fraudulent orders before they get processed. Are the customers where they claim to be? Is the credit card from the same country? Where is the order coming from? We score risk factors for you and put you in control of your response. Promote your product by offering it at a discounted price. Generate discount vouchers for special promotions and boost sales by by automatically sending a voucher every time time a customer places an order, such as “Get $5 off your next purchase”. Get them to return more often! Provide gift vouchers for those who are looking for the right gift but can’t make up their mind. 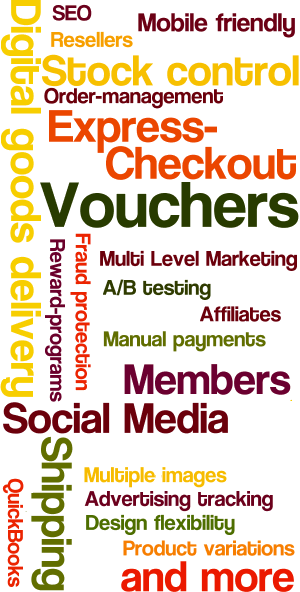 Boost sales by turning customers into members and offering them special privileges. Provide a loyalty scheme or offer special discounts to members only. Or offer free shipping to members. After all: members are more loyal buyers. Market your products anywhere you want – and track your sales results to see which channels are most efficient. Find out which advertising actions generate enough sales to make them worthwhile. Set up a dedicated list of resellers, who buy your products at reduced prices. Provide special pricing to your re-sellers by product group and individualize it for different re-sellers. Make the lower pricing only available to logged in resellers and make it easy for your resellers to list your products on their website. 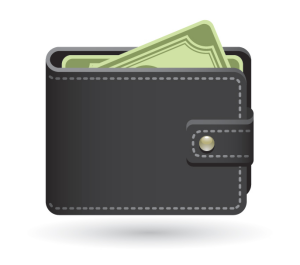 Affiliates send customers to your website in return for a share of the payments. Set up your own Affiliates Network to boost your sales and pay commissions only, if you make a sale. It beats paying for marketing and is how Amazon grew so big. Santu helps you manage affiliate orders and payments and offers commission payments up to five levels deep to create your own multi-level marketing (MLM) system. 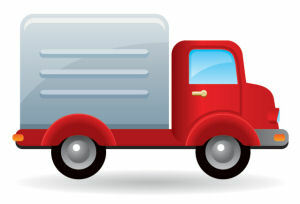 Set up shipping charges based on your requirements by weight, price or quantity. Or connect to shipping companies such UPS, USPS, Fedex, TNT, DHL, Royal Mail, Canada Post, Australia Post and French Post (Collissimo). Santu will automatically calculate shipping charges as part of the check-out process and invoice your customers accordingly. Looking after a business usually includes looking after your accounts with appropriate software. Santu makes it easy to export your orders into accounting packages such as Quickbooks, Sage and others. Of course there are also CSV and XML exports available to allow you to connect to virtually any back-end system. As you start working with Santu, you’ll discover even more powerful and easy to use eCommerce functions and tools. With Santu you can accept your customer payments manually or automatically — depending on your preferences. You can ask customers to send a check, money order or to transfer money into your account. Or offer ‘Cash on Delivery’, ‘Pick up and Pay’ and other similar payment methods. These are what we call ‘manual payment methods’, where you receive the payment directly from the customer and you will approve payment yourself. To accept credit cards and other real-time payment methods, such as iDeal in the Netherlands or ELV in Germany, you can use one of the over 50 payment service providers worldwide which have partnered with us. Included are PayPal, Amazon Payments, Authorize Net, WorldPay and many others. They will accept and authorize payments on your behalf in return for a commission. One of the advantages of Santu is, that you can add extra fees to the order or offer a small discount, depending on the payment method selected by a customer. Another advantage is that you can combine manual and real-time payment methods, and even multiple payment providers. This allows you for example to combine PayPal with another service provider to direct your customers to the most affordable one. Offering more popular payment methods makes it easier for a customer to buy and helps you generate more sales. Santu itself does not authorize payments. When a customer places an order Santu can automatically calculates delivery charges as well as sales tax or VAT. It also ensures customers know all charges up front, as required by law in many countries. If you sell online as a business, you are subject to many rules applying to the collection of sales taxes and how to display taxes on your website. It also allows you to set up multiple tax regions, depending on where you sell your products, and can deal with tax exemptions for businesses. Of course you can also have different sales taxes for different groups of products. Depending on where you sell Santu can show prices including and excluding VAT. It can also automatically add or remove VAT from the product price, depending on the location of the customer. Setting up sales taxes in different regions in the US is also easy (Nexus). Santu also includes a powerful calculator to work out shipping charges. You can set up charges by weight, by price or by product quantity. You can have some products shipped free of charge and add additional handling fees to other products. Naturally you can also define different delivery prices, depending on the location of the customer.